I am on a serious backlog on reviewing manga and this seemed like a good idea to get two birds with one stone. Also there were several similarities between the two manga even though they’re in completely different settings with different plots! Yoshiki Nakamura is a Japanese manga artist. Nakamura made her manga debut with Yume de Auyori Suteki in the manga magazine Hana to Yume in 1993. The sassy middle aged man who knows exactly what the male lead thinks. 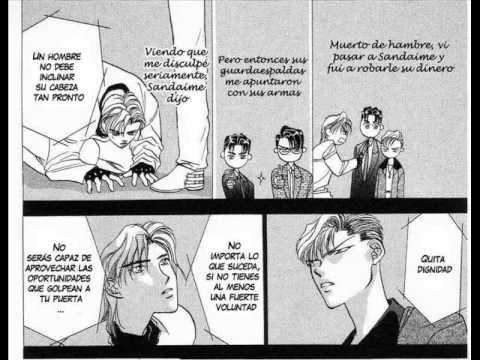 It is Yashiro san in Skip Beat and Kamojima san in TCP. They are both always teasing the male leads with their female counterparts, trying to get them to pair up and always, always seeing through the guy’s lies. They are both hyper, a little childish at times and extremely smart, loyal and courageous. 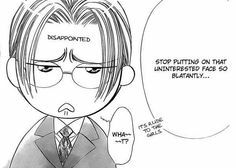 Yashiro san in response to Ren’s disinterest in love. Both the female leads are against love. Each have their reasons of course! Kyoko is afraid of falling in love after her heart being broken by that Sho-baka and desperately refuses to accept her feelings for Ren. Comedy and humour elements outshine the romance. Let’s face it. If Ren and Kyoko or Tsukasa and Ryuji were obviously lovey- dovey with each other and not comic like right now, both these manga wouldn’t be as appealing. The humour is one of the best part of the story and is generally funny, not just one type of humour but all- dark, naïve, situational, verbal, ironic , metaphorical and even some mature. Again, in both of these manga, the plot and character development are well focussed on. This doesn’t mean that there wasn’t any romance- there was quite a bit of it. It was well placed and not questionable. There are no whiny, annoying, supposedly Kawai girls as heroines. Even the female antagonists are portrayed strong, proud and admirable. Kyoko has serious mental fortitude and a never give up attitude. She stands for what she believes and is exceptional in every way. Tsukasa is crazy strong physically, fights for the good of people and is amazing. She is loyal and never fails to protect those she holds dear. This didn’t mean that they were unbelievably strong. They both had sad, hard backgrounds and they both overcame it. They have their weak moments and that’s where the male leads come in. I cant say they are very similar, but they both have teasing personas. Ryuji is outright and Ren shows it as Emperor of the Night. They both hide their real feelings and are only seen through by their respective middle aged man and female interest. TCP is in the future and has a more action plot, while Skip Beat is current day and deals with Show Biz. 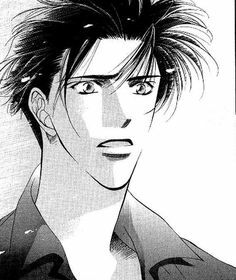 Skip Beat had no explicit scenes until Setsu came in. I had a mini heart attack when that happened. But until then there weren’t even any kisses, but the romance was very obviously seen. In TCP, the scenes were more on the mature side of the scale. Especially when Ryuji expresses his love or Gonzaemon tries to harass Tsukasa. I must say that Skip Beat has a complex page layout. 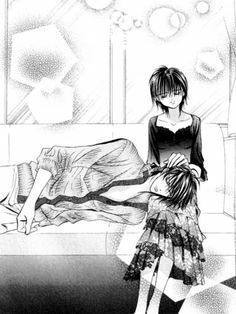 Even after getting used to reading manga reading a few years ago, I still required some time to adjust to the panels in Skip Beat. Wonderful. I enjoyed both the manga a lot and definitely suggest them to everyone. Humour and action balance each other out and the art only makes it more appealing! So YES YES YES! READ THEM FOR SURE!! This ratings are because Skip Beat is suitable for any age but TCP does have its awkward scenes… So for me I recommend Skip Beat more. Nah , I’ll do both…. Bye then! Have a good day. You’ve just convinced me I need to read tokyo crazy paradise for sure!